JT – After several weeks off, the blog is back. Given the number of interesting motorsports stories that have made news over the last month, we’re going to focus on the racing world/industry in general in this installment. We begin with last week’s admission by Liberty Media that not a single current F1 team has opted to buy shares which the sport’s new owner set aside for them. Liberty made 19 million shares of common stock available over a six month period but there were no takers. That’s obviously not a positive development for Liberty Media and something of a “no confidence vote” by the teams. Do you agree? SJ – I don’t know enough about the “ins and outs” of it to really gauge what’s going on but at face value it tells me that none of the teams have enough faith in the business if they’re not willing to buy into it, or maybe the deal just wasn’t attractive enough. When Champ Car did this (1998 CART/Champcar goes public on NYSE) it was different because at the time the teams were given X-amount of shares when the series did its IPO. A few of the team owners were smart enough to cash out after a short period. They all did very well and the rest used the stock to help keep their teams alive and eventually ran out of money when the series started to decline. JT – As the embarrassing lack of performance by Honda and McLaren continues, it was recently revealed that the deal struck by Sauber F1’s ex-team principal Monisha Kaltenborn to run Honda power units in 2018 was canceled. Apparently, Sauber’s team owners called off any Sauber-Honda link following Kaltenborn’s departure from the team. The reversal leaves McLaren as the only Honda-powered team. That casts further uncertainty into McLaren’s future with the Japanese manufacturer and the paddock as a whole. It’s perhaps likely McLaren will continue with Honda but not certain. Meanwhile, Fernando Alonso has said Honda must show improvement this year and real potential for 2018 if he is to remain with McLaren. SJ – Again, it’s difficult to comment without knowing more details. You can be sure there’s more than meets the eye to this whole situation. It seems odd to me that an announcement was made by Sauber or Honda or jointly – it’s hard to say who announced it – but with that possibility now gone, it’s hard to know what to make of this. The dominoes will have to fall at some point for the teams and drivers. But it looks difficult for anyone at the top end of the driver market to move much in the current situation. If Alonso were to leave McLaren, where would he go? I doubt neither Mercedes or Ferrari have a seat open for him, Red Bull is already full. 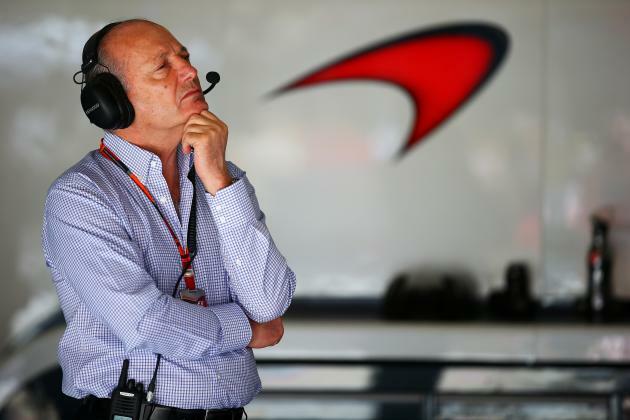 In my opinion it would be better to stay patient one more year with McLaren as I still believe they will eventually get it right rather than go with any of the options that are left of which only Renault would make any sense. If McLaren were to ditch Honda and go with a different engine I think Hungary already showed that they will be a serious contender almost right away. Both Red Bull drivers are probably frustrated with their results and the reliability from their car, but they are both under contract, and again, where would they go. There are only two obvious teams for anyone who wants to move and the chances a seat will open in either of them are very small in my opinion. JT – Mercedes would seem to be pretty set with their drivers currently. Valtteri Bottas may be on a one year contract but he’s done pretty darn well this year, winning in Russia and Austria and finishing on the podium regularly. SJ – Yes, I don’t see any reason why they would want to change. I think Bottas has done a phenomenal job. He’s certainly keeping Lewis on his toes and there seems to be good harmony in the team. The love fest is still going on between the team and the drivers, which Lewis showed by doing the honorable thing in Hungary last weekend in letting Bottas by in the last corner which was agreed at some point in the middle of the race. I can’t for a moment think he would have done the same for Rosberg. That’s 3 points left on the table which could very well mean win or loose the championship at the end of the season. JT – At the halfway point of the 2017 season, the Drivers championship battle between Sebastian Vettel and Lewis Hamilton has tightened with just a single point separating the pair. Ferrari and Mercedes are likewise locked in battle for the Manufacturers championship. What do you make of the contest? 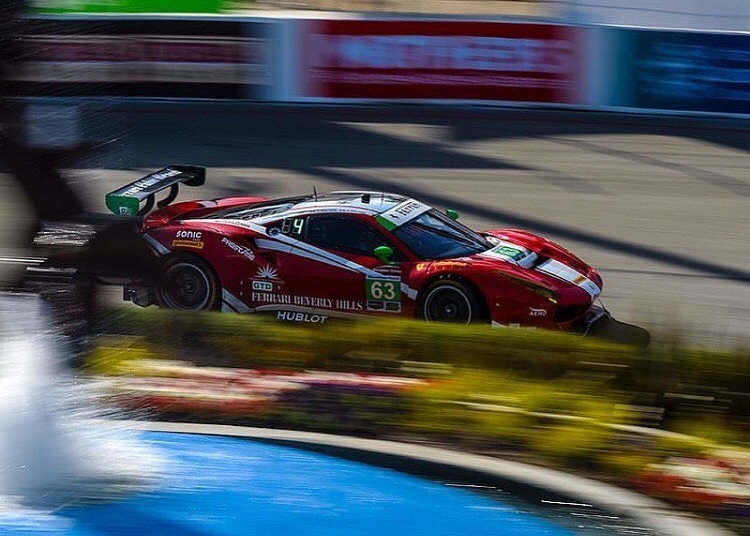 SJ – As usual, the media is saying Ferrari is “finished” after one bad race. There’s a “crisis” and on and on. They’ve had one bad race (Silverstone) effectively. I don’t think the championship fight is over by any means which Ferrari also showed by totally dominating the Hungarian GP from qualifying to the race. I’ve been saying since the first race of the season that thanks to Vettel doing extensive testing of Pirelli’s new tires for this year, Ferrari clearly had an early advantage. The team knew more about the tires than anyone else. It’s hard to believe they would not have learned things that others wouldn’t by being the only team with a regular driver doing all of the running. Now that we’re halfway through the season it looks like Mercedes has caught up and understand their car and the tires much better than they did at the beginning of the season. But that doesn’t mean the battle is over by any means. I suspect it will go down to the wire. JT – A related subject in the overall picture of Formula One and other series now across racing is the unprecedented number of drivers who are effectively paying to race at the professional level. In June, Mercedes boss Toto Wolff said the following regarding Valtteri Bottas. If one of the two drivers in what has been F1’s top team in recent years is bringing money with him to the team, what does that say about F1 and professional racing in general? SJ – I’m not sure the money Bottas brought was tied to him getting the drive. I think it’s more that he just happened to have a sponsor who wanted to be involved and that’s obviously a bonus for the team no matter how you look at it. But yes, things have changed in general. Outside of Formula One, even the drivers who are getting paid, the money they’re getting is almost equivalent to what drivers were getting paid in the 1980s with the exception of the guys up at the very top end in F1, who get paid ridiculous amounts. So the contrast between the very few guys at the top and the back end where so many drivers now have to bring financial backing of some sort is huge. The fundamental problem in general for pretty much every level of racing is that technology has taken over. Everything is driven by technology. Every racing series is driven by the engineering side instead of the drivers and the sporting side. The cars are far too expensive to run. All of the electronics, all of the aerodynamic development, all of the extra stuff which has become part of the cars today makes them massively more expensive to operate. Then we have all the various methods of simulation which effectively have replaced on track testing, this again is driving up the costs as all this equipment is constantly evolving, and anything involving R&D is never cheap. Not only are they more expensive as a whole, components are more expensive and the cars require three to four times the amount of people to run compared to what they used to. In the end, there’s nothing left over due to the costs. The money’s got to come from somewhere. Teams are operating more and more in survival mode, and as such they have to rely more and more on drivers bringing money. There’s no real sponsorship in F1 anymore, not at the level it used to be at least, nowhere close. The dynamic has shifted for a number of reasons, one of them being the introduction of pay TV which means there are significantly fewer eyeballs than there used to be. On the flip side the series is making more money because of the pay per view but the overall number of viewers is obviously a lot less. Sponsors obviously look at eyeballs as one of the main gauges for engagement. If the number of people watching is small, the rate card (for advertising) goes down of course. Hence the constant arguing now about what the distribution of money from F1 is for each team because that is now the main source of income for many of the teams. This never used to be mentioned before, as each team had a reasonable level of sponsorship and the F1 money was almost like the icing on the cake. In addition we have all the social media and other disruptive technologies pulling people in all sorts of directions and there is no longer a fixed medium to get your information or entertainment from. I don’t envy Liberty trying to find the right way forward, I don’t think there’s anyone today that has the complete vision to see where this is heading and what the end result will be. There is no doubt a number of very competent people capable to put their foot down and say, “Stop. Let’s rethink the whole thing.” But what is the answer? There are so many moving parts to every aspect of this, every person you speak to have their own view of how to go forward, each manufacturer have their ideas ( biased to suit their own agenda of course), the teams have their views (even more biased), The FIA another one, and on and on it goes. No wonder the Strategy Group can barely agree on where to have their next meeting let alone agree on anything constructive. JT – As we’ve discussed previously, another contributor to the muddle racing is in is a strange kind of political correctness. SJ – Yes I agree, now it’s permeating racing just as it is in every other aspect of life it seems. I think we’re at the point where we can’t defend this whole argument that racing has to lead the technology for the road car industry. In fact, right now it’s the exact opposite. The road car industry is actually far more advanced today in many ways than the racing industry, especially in the electronics/powertrain side. Race cars are made to go fast as they always have been. Nowadays the main emphasis seems to be that road cars are supposed to save the planet, whether that’s valid or not but that’s the argument. Racing and road cars ought to be heading in two completely separate directions, if there is anything to be learned from Racing that could benefit the road car industry, great, but I don’t think the focus should be on that. Hybrid technology isn’t particularly good for a race car. And the race cars and series using it aren’t inventing anything, they are in fact forced to use it by the rules. So even if a team wanted to develop a different concept or technology they wouldn’t be able to. They’re basically borrowing the technology from the road car industry to apply to a race car. The whole concept with this technology – the philosophy of what race cars are meant to be now - is going completely in the wrong direction in my opinion. This insanely complicated and expensive hybrid technology really doesn’t benefit anyone in racing. The development of the technology for road cars is already as advanced if not more than what we see in the F1 or LMP1 cars. So there’s really no gain. Then you can look at the whole aerodynamic thing on top of it – useless for a road car. Part of the problem is the PR the manufacturers produce. Their PR departments have an agenda and of course there’s the political side and that’s another agenda. There are all of these marketing efforts and the racing is just the tiny little bit at the bottom of it. Everything has to conform to all of the non-racing agendas. From a PR point of view it may be great to talk about these amazing power unit that produce virtually zero emissions, the carbon footprint is almost nothing and so on. But all it is, at the end of the day is just that, a PR exercise. I asked someone just for fun to walk over to the parking lot at the British GP where the teams park all their transporters, there were 350 Diesel trucks there to service the 20 cars that were racing on Sunday afternoon. The top teams are using 9 trucks just to carry the Hospitality units and the equipment, which these days are essentially there to feed the journalists and team members as virtually no one else have access to the paddock area. I know this may be an irrelevant argument, but nevertheless it’s a sign of the general hypocrisy surrounding this subject. The money being spent is crazy and that’s not sustainable. The ACO/WEC still seem insistent on having P1 and having some sort of hybrid formula for privateers. That makes even less sense than having the manufacturers do it. Why should a privateer want to run a hybrid car? There’s zero benefit to it unless it’s an open formula where that is one option of many others. But as it is, the rules are very strict and that is basically the only option which means that everyone will spend a lot of money for nothing as they will all run the same spec engine in the end. On top of it, I was talking to a couple of the drivers in the P1 factory teams and they hate the cars. They’re just an engineering exercise. You have to memorize all of the hybrid system stuff instead of just driving the car fast and hard. You’re like an airline pilot on a passenger jet. You’re just constantly going through checklists. In Formula One, the top teams employ 250 designers and engineers to design a car, this does not include the engine, there’s a massive amount of complexity, and costs obviously. There’s no real innovation in F1 at any level anymore, they’re not allowed to innovate anymore because the rules are so strict. So it’s just an endless refinement of what already exists, with all the teams, designers and engineers pigeon-holed into a tiny little box in which they can work. It’s about optimizing every half-percent you can rather than coming up with something really new that while not completely developed, still gives you an advantage. That’s how the pioneering days of F1 used to be. We had Colin Chapman advancing winged F1 cars, six-wheelers (from Tyrell) and other new things and ideas tried. Obviously, it’s harder to find really new ideas as the technology is far more advanced today but racing should always have a measure of that. 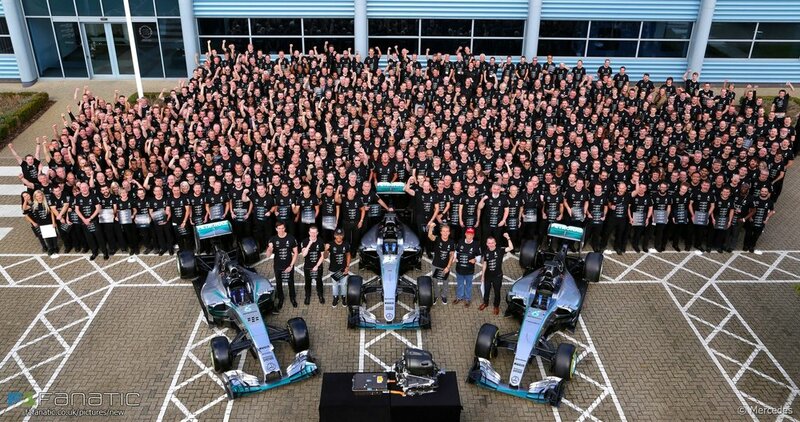 And it shouldn’t have to get to the point where it is now when a top F1 team employs over 2,000 people in total. In a few more years, we’ll have some form of self-driving cars and where does that leave racing? Again that’s where road car technology and racing should go in totally different directions. The essence of racing should always be cars that are fast and spectacular to watch, driven by these exceptionally talented young guys that are putting it on the line. I’m sure if you let all the clever engineers loose and give them some more freedom there will be a number of new and fresh ideas instead of them working within the narrow box they’re forced to work in now, just optimizing technologies that are already here. The entertainment side of racing comes more naturally when you make cars fast and challenging to drive, that everyone can immediately appreciate rather than having to explain what the technology is all about and a bunch of artificial rules to make the racing more exciting, like DRS and some guy in a blue FIA shirt sitting in a control tower watching a TV monitor determining when a driver has gone too far outside the track limit instead of the driver simply being out of the race because he either pushed to hard or screwed up somehow and simply went off. Anyone, even a layman with no knowledge of racing, can appreciate the effort and skill of a driver wrestling a car to make it perform as well as possible at the limit. But a car that does almost everything for a driver, that’s stuck to the road on a track with so much run off area that is virtually impossible to hit anything if you try too hard and go off, that any driver with a small amount of skill can jump in and get within half a second of a three-times world champion - that doesn’t excite people. It doesn’t have the same appeal. It’s now also been confirmed that the Halo head protection will be mandated. It was an inevitable decision in my opinion, once the knowledge is there and it’s for safety there’s no turning back. It’s a knee jerk reaction to something that should have never happened in the first place if any level of common sense had been applied at Suzuka when Jules Bianchi had his accident. But it happened, it was a freak accident and will in most likelihood never ever happen again, halo or no halo. The reality is that the only fatal accidents in F1 since the early 1980’s have all been a freak accident of some sort, as such it’s impossible to predict what will happen next time. In general terms though, I could probably mention at least 10 sports, maybe even more that are far more dangerous and have more serious injuries and fatalities per participant than motor racing and F1 in particular today. The general perception that racing drivers are these dare devils risking their lives every time they step in a car is more or less just a myth today, there is zero bravery or bravado involved in being a fast driver today and I’m sure I’m not the only one who’s made that observation. Fans are not stupid, they want to see their favorites wrestling their machines on the ragged edge, that’s what motor racing has and should always be about. Like all sports, it’s the heroes that make the fans come and watch, not the boffin in the back of the garage, or in the case of football or any other sport, the coordination trainer in the back of the changing room. Ironically, the only level of motor racing where the danger is still a concern that’s on the back of anyone’s mind is probably Indycar, and the drivers there probably get less credit for what they do than pretty much any other series out there. When you watch the pack racing at some of the ovals it really makes you appreciate what these guys do. This is a very touchy subject of course, but I am convinced that every single driver worth his salt would still be out there if the tracks where more punishing if you made a mistake, the cars were far more difficult to drive, with much higher top speeds and less grip. All drivers in the past, even those that complained the most about the safety, still kept racing and lost friends almost every weekend, for virtually no money. Today, we have a situation where other people are deciding what is safe for us. So instead we now have drivers racing cars that are ridiculously easy to drive in comparison, almost totally safe and make $40M a year. This is of no fault of the drivers but merely a reflection of society in general today. JT – That kind of challenge – the kind which makes racing appealing broadly could return. As we’ve discussed many times, aerodynamics have had a very corrosive effect on racing. But the possibility exists that technology applied to other aspects of vehicle performance could restore the spectacle, correct? SJ – Yes, it will take a while but I’m convinced that with a shift of development focused on better tire and power plant technology in particular, better suspension technology and better materials - all these factors – you could gain back amazing performance. The performance lost by eliminating a large portion of the aerodynamics could be found through these other areas to produce cars capable of amazing speeds and lap times. If they are worried about the lap times being much slower by taking away a good portion of the downforce, don’t forget that every modern F1 track today is built the way they are simply to slow the cars down, hence we have a bunch of Go Kart tracks on big parking lot tracks with 1st and 2nd gear corners and chicanes with only the odd high speed section that are still not very challenging for a modern F1 car. We could easily solve that problem by going back to a layout with more high speed and flowing corners, where a combination of great car control and big balls will determine the lap time. If your cornering speed is maybe 2/3 of what it currently is, but the driver has 1200-1300HP that he’s balancing on the edge in a 4th or 5th gear corner anyone can certainly appreciate that. They would be spectacular to watch and they would weed out the really good drivers from those who don’t have the same level of talent. You might see the rise again of all the really fast guys who disappear these days before they even get to F2 in many cases. Any average driver can be quick today in an aero car. This is a complex subject of course and everyone has their own views on how it should be done. There’s no strict formula but that’s where I think we should head. 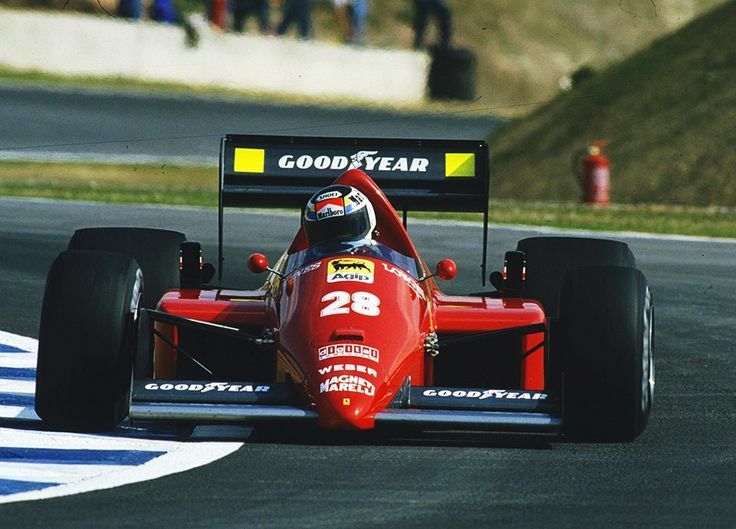 I don’t want to sound like some old nostalgic yearning for the “good old days” because that’s not the case at all, but I really believe it’s time for a complete recalibration on nearly every level of motor racing, certainly in single seaters and prototype cars. Aerodynamics was a great idea when it was first invented, but I think everyone except maybe the engineers agree that it’s ruining the racing at every level, at an astronomical cost to everyone involved. We need to be clever and come up with a better alternative. JT – IndyCar and sports car racing have made news as well lately in both separate and related ways. IndyCar debuted their new universal aero kit to positive reviews from teams and drivers. Juan Pablo Montoya and Oriol Servia did the first test of the new oval kit at Indianapolis and were comfortable going fast almost immediately. On the sports car side, the long awaited announcement was made that Team Penske would field Acura-powered DPis in IMSA. Another announcement which came as something of a surprise was made when Mazda revealed that it would end its relationship with Speed Source and withdraw from IMSA competition for the remainder of the 2017 season. In 2018, famed sports car team Joest will become the Mazda factory team. The announcements add some momentum on the American sports car side for the DPi prototype formula and show the way for coming years in IndyCar. SJ – Estethically the new car certainly looks a lot better than the previous ones, it would have been nearly impossible to design one that could look any worse though. I guess this also fixes the disparity between the Chevy and Honda aero but what a pointless exercise the manufacturer aero kits were. As we’ve discussed before, the total cost of this very bad experiment must have been somewhere in the range of 30 million dollars cumulatively. Imagine if they had spent that money of marketing instead. They already had and still have a Championship with the best racing out there, but sadly it seems they are still incapable of getting the message out there to the general masses. IndyCar can fiddle with the cars till they’re blue in the face but it won’t matter if there’s only a relative handful of people watching. The die hard fans are always going to have a point of view and they’ll also turn up no matter what. Consider for a moment the reception of the new car design compared to the first test Alonso did for the Indy 500 this year, where more than 2,5 million were watching the live stream online. This should tell you everything, and if the penny hasn’t dropped that maybe it’s not new car designs we need, but instead a much bigger focus on the drivers, who are the heroes that people want to watch. The value of Fernando Alonso racing at Indy this year is probably the best marketing IndyCar has had for the last 20 years. The racing is still the best in the world as far as I’m concerned. The formula works as it is – in fact, it’s one of the few that works in all of auto racing. Stop tinkering with something that works and try to market it to the biggest audience you can. That would help teams attract more sponsors which would allow them to hire more high profile drivers. If I were Indycar I would do everything possible to lure Alonso over to the series for 2018. Look at what happened when Mansell moved from F1 to Indycar in the 90’s, in one year it catapulted the series and it was actually a minor threat to F1 until the split came which of course killed it immediately. If Alonso would come over to Indycar, he would soon be followed by other F1 guys who are equally frustrated by the current cars in F1 and the lack of real racing and real race tracks. With the sports car end of things, the DPi is a great concept which I think any manufacturer could embrace. With both Penske and Joest now joining it will give IMSA a huge boost without a doubt. It would be great if the ACO would accept it too, if they did you could have a global prototype formula that could be affordable enough for both manufacturers and privateers with privateers able to buy the same cars the factory teams used. It would be brilliant and you’d have a natural feeder system. JT – Porsche confirmed what most expected at the end of last week when they formally announced that they would be leaving the World Endurance Championship at the end of the season. This obviously is a significant blow to the WEC and could spell the end of the LMP1 Hybrid category for now. The question hanging in the air is whether Toyota will return for 2018. It’s hard to see any incentive for their continuing. SJ – I can’t see the WEC surviving. If Toyota follows Porsche what is there? What they should do is a pan-American/European championship of some kind. 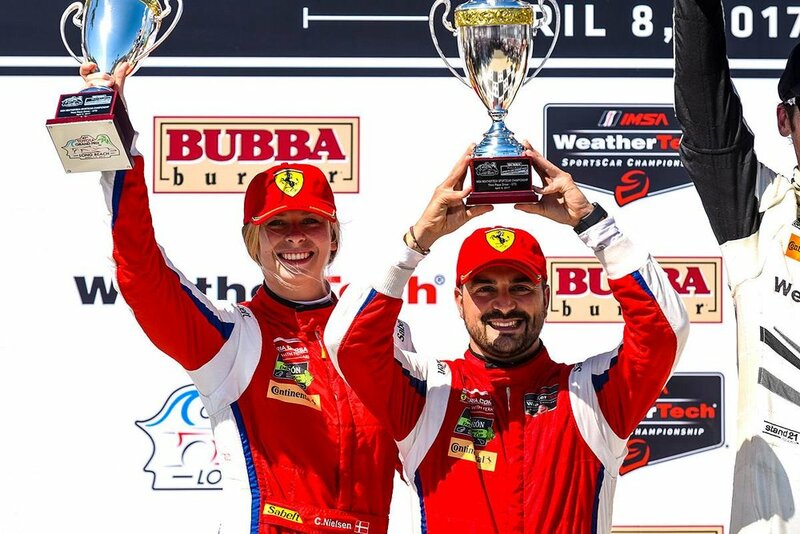 They should create some kind of hybrid series that brings IMSA and the ELMS together, spanning both continents. And get rid of the LMP1 and LMP2 categories. Simplify it and make it one category. You don’t need both. Teams that are serious will hire the best drivers they can and for drivers that will pay to drive there will always be a team that will take them. And this will be at a reasonably affordable level unlike the P1 Hybrid class. Look at Le Mans this year. The race was almost won by an LMP2 car at almost exactly 100 times less than the budget of the P1 teams – 100 times less! That should tell you something. Sports car racing has to be much more reasonable in terms of the costs. Look at the LMP3 class. They’re fantastic cars and you can run them for a full season for about $700-800,000. The grids are full. And if you unrestricted the engines or put different engines in them they could be 10 seconds per lap quicker than a GT car in no time. The cars could handle that easily. It’s do-able if they try. JT – The other racing force looming on the horizon is Formula E. Manufacturers from Audi, Renault and BMW to now Mercedes and Porsche are jumping into the series. This despite the fact that recent reports in a number of financial publications reveal that Formula has a total net loss of $110.5 million currently. SJ – Formula E definitely has momentum. 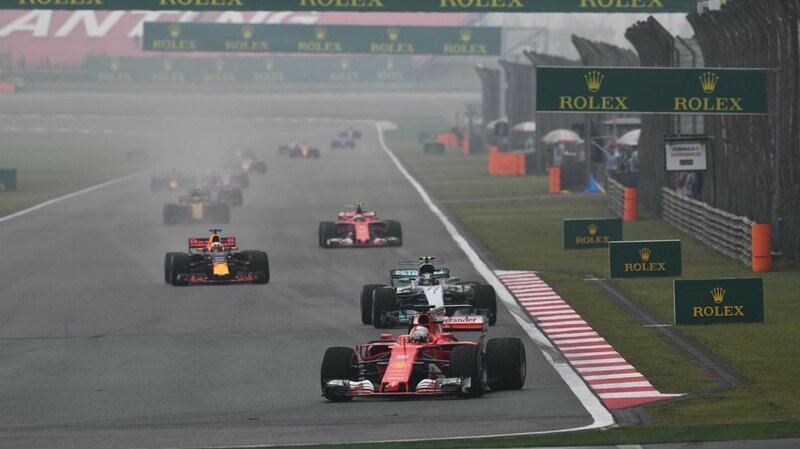 With the latest announcement from Mercedes and Porsche not only joining but also pulling out of the other major series they were competing in before this, following Audi’s decision to do the same earlier in the year, it definitely looks like the series is set to grow significantly in the next 3-5 years. I think the budgets will probably triple in the next three years, maybe even more. You know that the manufacturers are going to spend a fortune coming into the series. Once they’re committed to any series all bets are off and the technology will improve drastically in the next three to four years. The battery specifications are fixed which is kind of strange because that’s the only thing you can gain significant performance from. But there are some interesting developments in the drivetrains otherwise. Obviously, there are a number of reasons why the racing format is the way it is now in Formula E but having been to a few races now, the racing is tight with plenty of action. The cars are relatively slow but there are some tough battles on track and because the tracks are small so it doesn’t look that slow. It’s possibly the only series in the world where not one driver is bringing any money to race, every driver on the grid gets paid and the level of the drivers is very high. It is extraordinary how far the series has come in just a few years. Alejandro Agag and his team have done an amazing job so far to get it where it is today, and they have great momentum now. In a way, Formula E is everything that Formula 1 is trying to be right now, in terms of being with the times and doing the right thing for the environment etc. Maybe this is the opportunity F1 need, to leave Formula E, the Manufacturers and the FIA with the political agenda to save the planet and instead go back to basics with brutally fast, noisy and spectacular cars and tracks, not worrying so much about the political side of things. Wouldn’t that be something!